It’s the day after Christmas and Saint Nick’s on vacation. His first stop: the little town of Greenwood, where he meets a most unusual Tree. Nick and the Tree go out on the town, but a freak snowstorm brings their festivities to an unexpected conclusion. 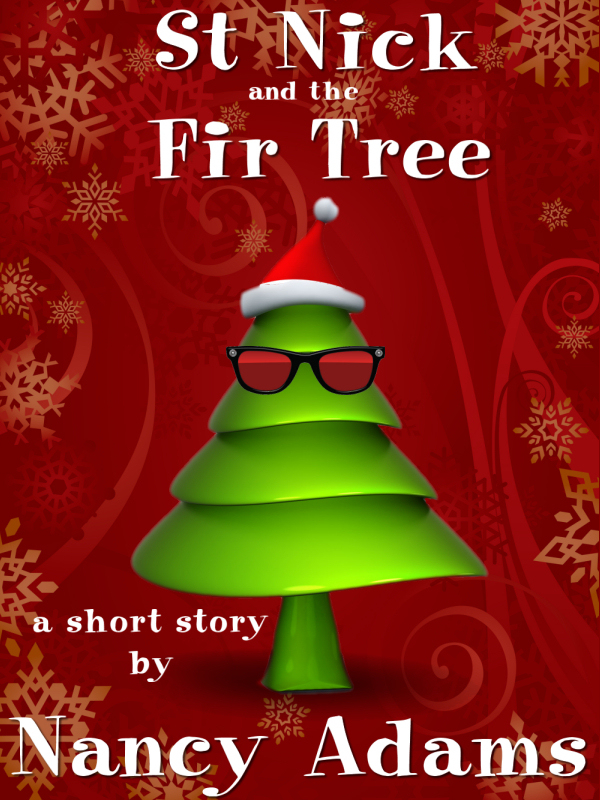 “What a delightful tale of a deeply-rooted yew tree who longs to be a fir and is taken by St. Nicholas on a post-Christmas holiday, complete with sunglasses to disguise his treedentity. This charming story by Nancy Adams is a perfect antidote to the after-Christmas blues, and it’s easy to root for the little tree taking its first draft of Ent juice. This particular Santa does swear a bit (“what the holly did I fall over?”), but he can’t help bestowing unexpected gifts in unexpected places. And as for the little tree, whose greatest fear is an ax murderer (shudder), he learns a few happy lessons along the way.